TALK ABOUT TONIGHT'S RUN? "It was a great run. The start of the race was pretty frustrating. We started third, had a great qualifying effort. At the start, I moved back and got kind of boxed in and got really frustrated. I stayed patient which was really hard to do. My spotter and crew chief and owner did the best that they could to be patient. It worked out great. We had some pit strategy there in the middle of the race which I thought was really going to pay off. I didn't quite work out perfectly. I felt pretty good. And then our last adjustment was just incredible and it really got our car going. Then it was just down to having perfect restarts there at the end. I don't know if they were perfect, but they were sure exciting. Martin Truex Jr. ran a heck of a race. Without the pushes at the restarts by both my teammate Justin and Joey Logano, I couldn't have won the race. I got by with a little help from my friends I guess you can say. Without all that stuff working out I wouldn't have been able to win today. Having fast (Dodge) Challengers was pretty special. We've been really strong in these races. I knew after Kansas and California, we made some small improvements to our program with the Chargers and felt really competitive. I knew that we would be competitive at these races as well. It's just amazing how good these cars run and how good things are going over here in the Nationwide side with our cars and out team. I'm really proud of everyone that works on these cars that make them so fast. This is really a team sport and we work together as a team and win together as a team. That's something to be very proud of, what a great night. TALK ABOUT YOUR PIT STRATEGY AND PIT CREW TONIGHT? "We got ourselves on a little different strategy there part way through the race. We've been known to do that a time or two this year. I'm not afraid to go different of what the leader's strategy might be and felt at that point in the race, we could make it on one more stop. We're not shy to take a gamble like that and it worked out on that green flag cycle. We felt like we had a good car, we just never got track position. A few small adjustments and getting the clean air at the end, we just had a really good car. I'm just really proud of all the guys who work really hard all week on this car. We didn't unload as we would have liked to on the test day here Wednesday. We continue to learn about this car and what it takes to make it go fast. Everybody has worked really hard and the results show. It's exciting because we've run this Dodge Challenger four times and we have two poles and two wins and really had a chance to win all four races. I'm just really proud of everyone at Penske Racing." YOURE ON THE VERGE OF CLINCHING THE 2010 NASCAR NATIONWIDE SERIES CHAMPIONSHIP: YOU HAVE TO FEEL GOOD? "I really want to congratulate Brad on the job he's done coming on board with us this year. We got Paul (Wolfe) to join us and he said, 'Are you serious about this Nationwide program?' I think the real thing is that the new car for Dodge and our boys at the engine shop who put the chassis's together did a terrific. You know Kyle Busch has been so strong and to come here tonight, our own backyard, and have a chance to run side-by-side and beat him was a real feather in Brad's cap. I know he wants to do that and we do too. Give credit to Paul and the strategy and reliability. Brad's been a terrific addition to our team and you can see the results. We have to move this same type of capability to on to Cup." JEFF SWARTWOUT (Penske Racing NNS Team Manager) "Brad did a great job. We had great pit stops. Good strategy by Paul and Brian Wilson. 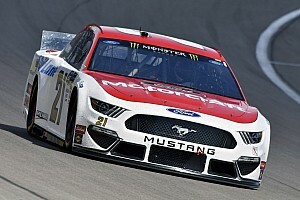 Just a great team effort by everyone at Penske Racing." TALK ABOUT WINNING TWO OF THE FOUR NASCAR NATIONWIDE RACES WITH THE NEW CAR, DODGE CHALLENGER? "It's been incredible. It all goes back to the engineers and fabrication shop and mechanics that build these fast Dodges. Everybody has some input and that's a good thing. And what can you say about those strong, strong Dodge motors; incredible horsepower. Just a great team effort by everyone involved." 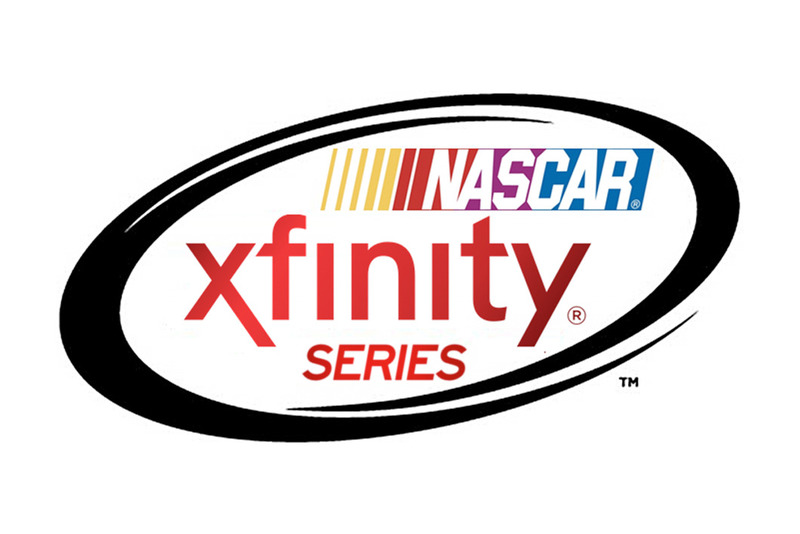 "I couldn't be more proud of what Justin (Allgaier) and the Verizon Dodge team have done. I believe we're class contenders with the new car and we're really looking forward to 2011. We had a strong car all night, had some great restarts. Unfortunately, the crew chief thought there was some damage on the right side and spent a little too much time in the pits on the last deal. It might have cost us a little bit. The kid (Allgaier) drove his heart out. Man, he's solid at these mile-and-half tracks. I'm real happy with what's happened here in the last 72 hours, to get a third is awesome." "The Penske Dodge Challenger was awesome. These Verizon guys do a great job week in and week out. We don't always get the results, but tonight they worked their tails off and we got a good finish. I'll tell you, 72 hours ago, there was no way we were not going to have a good weekend. I hope the fans in the grandstands enjoyed it because it was a fun race. "When we showed up Wednesday, we did not have a race car capable of even running in the top 20. All these guys worked together as a group. I just thank God for giving me the ability to do this. It's been tough with everything about what is going to happen next year, to be able to come out and run as well as we have been is awesome. I know I keep saying it, but the Penske engines are awesome. It's an honor to get behind the wheel and run as well as we did tonight. 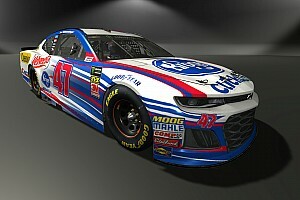 PARKER KLIGERMAN (No. 26 K-Automotive Motorsports Dodge Challenger) Finished 43rd. 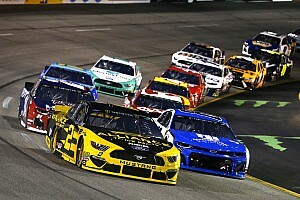 "A tough, short night for our Penske Dodge Challenger. We had a great week heading into tonight's race. We knew last night from our practice that we were loose and we tried to do some things to tighten it back up. With the way that the draft was at the beginning of the race, nobody knew what to expect and (it) was massive. Between (Turns) 3 and 4 I let my teammate Justin (Allgaier) go by and then I tried to get back to the bottom (of the race track). Once I got back on the gas the rear end just snapped loose without any warning. I heard a lot of guys were saying that they had the same feeling. The one thing that I console myself with is that we're probably the only rookie in the top 30 and the only one to be up there running fourth or fifth. We just got moved around by some guys that understood the air a little better. I just lost it. I feel bad for everyone at Penske Racing and Dodge and all our sponsors. Just a tough way to end what looked to be a really promising night for us."